Adobe has launched the much-anticipated sixth version of its Creative Suite—14 separate applications, including two companion apps—spanning a vast range of creative workflows and pursuits, targeting artists, graphic designers, photographers, videographers, multimedia specialists, and Web designers. At the same time, Adobe has debuted Creative Cloud, an overarching collection of products and services of which the new Creative Suite 6 (CS6) is a huge part. 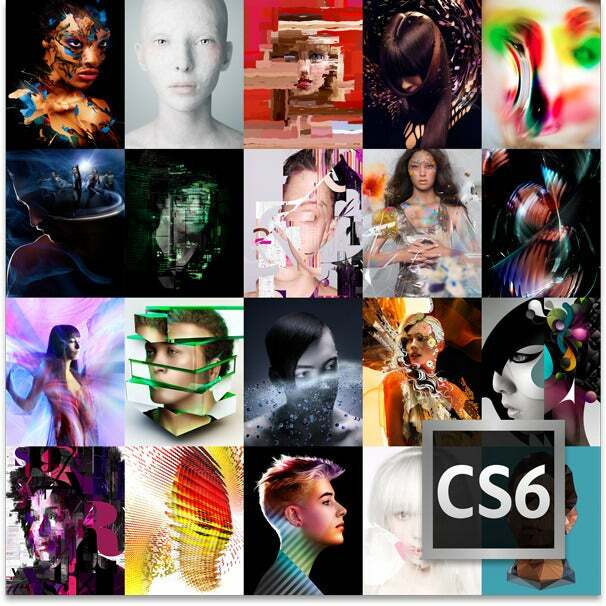 Creative Cloud encompasses all of CS6 and throws in a broad selection of new online applications and services that will be available only by subscription. Creative Suite 6 features upgrades of Photoshop and Photoshop Extended, Premiere Pro, InDesign, Dreamweaver, After Effects, Illustrator, Flash Professional, Audition, Fireworks, as well as newcomers Prelude and SpeedGrade. Companion apps Bridge and Encore are also included in the upgrade roster. Pricing for individual software packages are comparable to previous versions. These new and updated pro-level applications are grouped into four streamlined packages: Design Standard, Design and Web Premium, Production Premium, and Master Collection. With this release, Adobe has merged its design and Web offerings into a single package and dropped the previous Web Premium category from the lineup. Four bundled Creative Suite 6 boxes. While Adobe has taken the wraps off all of its new products now, they are not available immediately. Adobe says all products announced Monday will be available for purchase within the next 30 days, but that customers can pre-order CS6 software and the Creative Cloud subscription now. This is not the first public viewing of certain products. 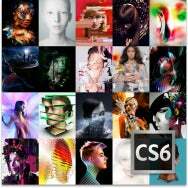 Adobe had recently released a free public beta of Photoshop CS6, and it previewed the entire Production Premium CS6 at the National Association of Broadcasters annual convention. Macworld's First Look at Photoshop CS6 and news report of the Production Premium preview cover these products in greater detail. With the new releases also come updated pricing for the educational market that now includes Creative Cloud. Adobe has announced a new education initiative featuring special pricing of Creative Cloud and CS6 for students and teachers at all levels. 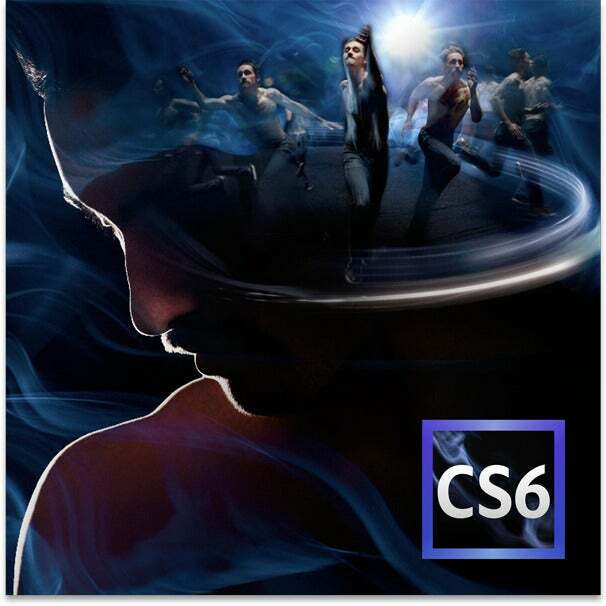 As with Creative Suites in the past, Adobe CS6 will be available with traditional perpetual licenses, both as boxed software installed via DVD and as Internet downloads. Each package will be available individually (except for integrated programs such as Bridge and Encore, which ship only with specific software such as Photoshop and Premiere Pro), and in bundled suites catering to creative specialties. Design Standard The new Design Standard package, targeted to print-based graphic designers and artists, features the standard version of Photoshop, InDesign, Illustrator, and Acrobat X Pro. It’s priced at $1299 with upgrades at $299. Individually, the Standard version of Photoshop is $699, with an upgrade price of $199; InDesign is $699, with an upgrade price of $399; Illustrator is $599, with an upgrade price of $199. Acrobat X Pro is $449, with an upgrade price of $199. Design and Web Premium The new Design and Web Premium, targeted to both print and Web designers and developers, features Photoshop Extended, Illustrator, InDesign, Flash Professional, Fireworks, Dreamweaver, and Acrobat X Pro. It's priced at $1899 with upgrades at $399. Individually, Photoshop CS6 Extended is $999, with an upgrade price of $349; Flash Professional is $699, with an upgrade price of $119; Fireworks is $299, with an upgrade price of $149; and Dreamweaver is $399, with an upgrade price of $119. Subscription pricing for Photoshop CS6 Extended is $20 per month for an annual contract and $30 a month for a month-to-month contract. Adobe's Website has more detailed information about Photoshop's features and prices. Production Premium The Production Premium, targeted to videographers, features Premiere Pro, After Effects, Audition, Flash Professional, Illustrator, and Photoshop Extended. Two brand new programs—Prelude and SpeedGrade—join the video suite with the CS6 release. Prelude, which replaces Adobe's OnLocation software, assists with video ingest and logging workflows, while SpeedGrade is a video color grading and finishing tool. The Production Premium is priced at $1899, with upgrades at $399. Individually, Premiere Pro is $799, with an upgrade price of $179; After Effects is $999, with an upgrade price of $179; and Audition is $349, with an upgrade price of $99. Prelude is $399 and SpeedGrade is $999. Master Collection The Master Collection, as expected, includes all of the suite components except for the standard version of Photoshop. Flash Builder 4 is available only as part of the Master Collection or via subscription. Gone from the suite are Flash Catalyst and Contribute. Neither Flash Builder 4 nor Acrobat X have been upgraded concurrently with the rest of the suite, but will be sold as part of suite bundles and the Master Collection. They will be updated later. Adobe InCopy CS6, also not part of the suite, is an adjunct to InDesign for non-designer editorial work. Priced at $249, with the upgrade at $39, it will be upgraded at the same time as CS6. Complete pricing information is available on Adobe's Website. The whole idea of offering software and other services via subscription was originally hatched at the launch of Creative Suite 5 in 2010. It took about a year for the idea to emerge in the commercial market with the debut of Adobe's Subscription Editions and interim CS5.5 releases. By the time a CS6 version was ready to preview, Adobe had dropped the interim .5 release idea in favor of Creative Cloud. Creative Cloud offers all of Adobe’s creative software for download to your desktop—the entire CS6 collection and more—to individual creative pros at a single price of $50 per month, based on a year’s subscription. Month-to-month subscriptions cost $75 per month. A special introductory offer of $30 per month for CS3, CS4, CS5, and CS5.5 individual customers is also available. Adobe has more details about the special offer on its Website. With Creative Cloud, Adobe is focusing on four key areas: Delivering content creation tools to customers; integrating sync and storage services to facilitate fluent content exchange to and from the cloud; offering publishing services for creating Websites, digital publications, and apps, and providing technology updates for current and future new software releases. 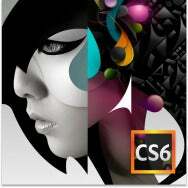 With Creative Cloud come a host of additional software and services to augment the core CS6 collection. Creative Cloud features subscription-only apps such as Edge Preview, an HTML 5 animation program; Muse, a visual Website development tool that debuts as a 1.0 commercial release with CS6; Business Catalyst, a content management system and Web Host designed to work with Muse; TypeKit which delivers Web fonts for site creation; Adobe Creative Cloud Connection for sync and storage of files, 20GB of online space that lets you sync and access content directly from the Creative Cloud, and the Photoshop Touch suite of applications. Not all aspects of cloud service will be available on day one. A future roadmap promises community features such as support, training, and social networking. Additional software like Edge 1.0, the Digital Publishing Suite, Single Edition, for individual designers and small design shops creating one-off applications for iOS devices; and Lightroom 4 will also be added to the Creative Cloud offering later in the year. Team subscriptions for $70 per month, catering to workgroups rather than individual designers, are also planned for later this year.